The leaking of Hillary Clinton campaign manager John Podesta's emails on Wikileaks has the potential to destroy Clinton's chances at the American throne, should enough Americans learn of their content. In my experience, where questionable ethics become public knowledge, Pallas and Jupiter are involved. 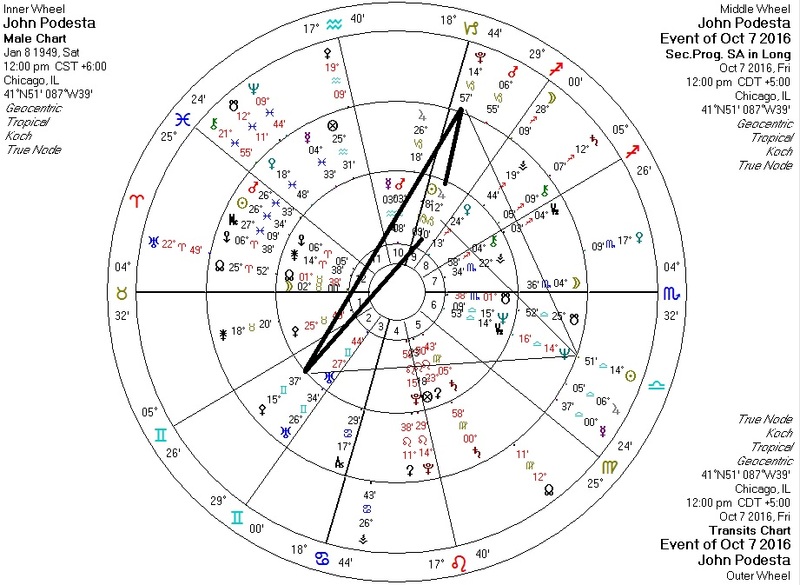 Usually this comes in the form of transiting Jupiter forming an aspect with the native's Pallas, but here we have transiting Pluto and Sun triggering a progressed Pallas-Jupiter aspect. As the Baby Boomers now controlling world politics might say: "Burn, baby, burn".